Find here The Baby Gift Company coupons and deals. 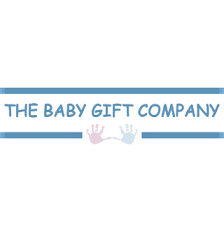 The Baby Gift Company sells adorable gifts for new parents and babies – we offer many gorgeous baby gift items available to buy online, suitable for girls and boys. We are pleased to offer a large range of products including organic cotton clothing, baby safe toys, soft blankets and pampering treats for Mum. Our gifts are all beautifully wrapped, making them ideal for a baby shower, work leaving presentation or special family member. Our exquisitely crafted baby gift hampers are particularly well received. This has been accredited by the regular positive feedback we receive from our customers, who continue to repeat purchase for their friends, colleagues and family members.